If you go by Steam’s figures, Nvidia is a long way ahead of AMD in the GPU world, but a new survey of Firefox users has shown that the reverse is actually true – or at least that AMD is slightly ahead, if not streets in front. The Firefox Hardware Survey takes a snapshot of the hardware being employed by those who use the browser, and it found that in terms of GPUs, Intel held a big lead (with integrated graphics) with a 65.39% market share, followed by AMD on 15.4%, just ahead of Nvidia which was in last place on 14.17%. As mentioned, that’s a very marked difference from Steam’s hardware report, which places Nvidia in clear first place with a mammoth market share of 81%. So why the huge difference? That’s easy enough to explain. Steam is a gaming service, so it’s unsurprisingly populated by keen gamers who are very likely to have discrete graphics cards – i.e. a separate card rather than an integrated GPU on the processor. And clearly, when it comes to dedicated gamers and discrete cards, Nvidia is winning the battle by a long way. Firefox’s report, however, pertains to the general web surfing population, and as evidenced by Intel’s big lead here, the majority of those folks don’t have a separate graphics card; they run with integrated graphics. 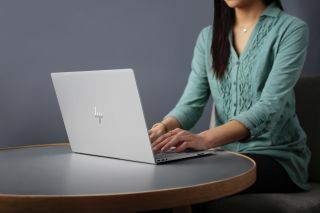 Clearly, then, it follows that among this general computing demographic, laptop usage is likely high – something which is pointed to by other metrics highlighted by the report, such as the most common resolution being 1366 x 768. That’s commonly seen on budget-friendly notebooks, not PC monitors. This point was underlined in our recent chat with Mark Mayo, senior vice president of Firefox, regarding the future of the browser (and its big Quantum update). Mayo noted that Mozilla uses a $300 Acer laptop as reference hardware, because this is what the company has found is the most commonly used piece of hardware among its user base. At any rate, it’s interesting to see that among the general computing public, AMD has this slight edge over Nvidia when it comes to graphics solutions. Some doubters may point to the fact that Firefox isn’t the biggest browser in terms of its own market share, only securing around 13% according to Netmarketshare’s stats for October, compared to Chrome which owns the market with a 60% share. But it’s still a big enough sample of web surfers to qualify as a weighty metric, certainly in our books. Although it would be interesting, for sure, to see Chrome’s statistical breakdown of user hardware. The Firefox survey also produced another interesting nugget in terms of Windows usage, with 45.7% of Firefox surfers using Windows 7, still considerably ahead of the 33.9% who have adopted Windows 10.